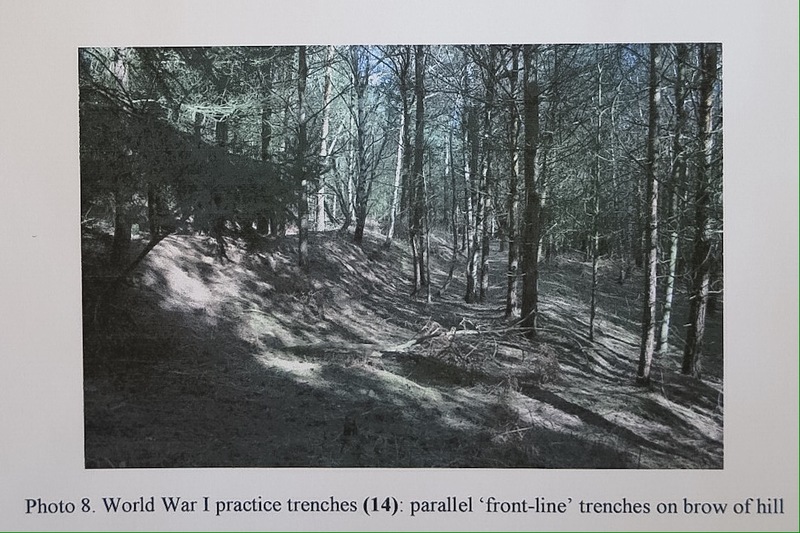 WWI – The Bedfordshire Training Depot in Ampthill Park – the trenching ground | Tommy's Footprints…..
On September 23, 1915 the Bedfordshire Standard published a splendid description of the Bedfordshire Training Depot trenching ground. Recruits dug the WWI trench complex near the Northern edge of Warren Wood, Steppingley – land now occupied by Center Parcs Woburn Forest. The trenches were used to help prepare soldiers for the Front. The trenching ground was orientated East-West on open land alongside Woburn Road, Ampthill. The complex was more than 400 yards wide. The frontline fire trenches faced South. In 1918 the practice trenches were abandoned when the Bedfordshire Command Depot closed. Over the years nature has quietly claimed its own – the trench sides became unstable and collapsed. In 1928 Warren Wood was planted with trees which further obscured the site. The earthworks filled with woody debris and an endless supply of leaf litter. In 2008 Marcus Webb filmed parts of the WWI trenching ground in Warren Woods. The footage was taken before Center Parcs started to build. Here is a videoclip. In 2013/14 the development of Center Parcs saw the site boundary and a bridle path trisect the trenching ground East-West. However, signs of the trench complex remain. These photographs were taken in March 2016. Here is an artist’s impression of how the trenching ground may have been organised. In February 2017 a guided walk explored what remains of the trench complex. 2019 – we are developing a heritage project to map, tidy and sign the trenching ground. Watch this space….. 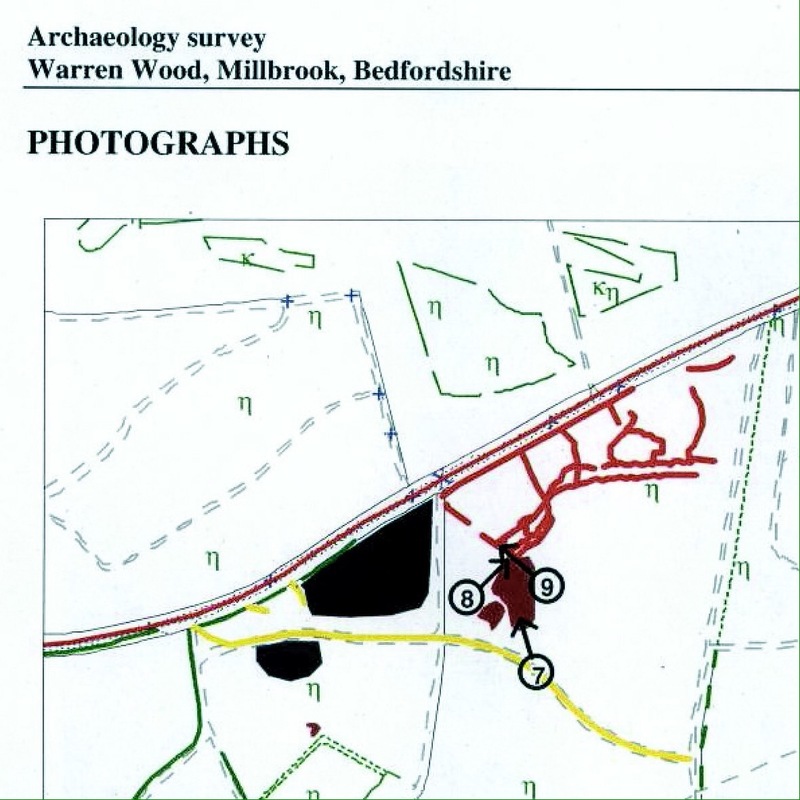 Thank you – to Ian Church (Military Historian) and Stephen Coleman (Central Bedfordshire Council) for assisting with information about the trenching ground. All text and photographs copyright S.Hartley (2015-) unless otherwise stated. This entry was posted in Bedfordshire Training Depot, Camp Diary, Uncategorized and tagged 1914-18, Ampthill, Ampthill Park, Bedfordshire Regiment, Bedfordshire Standard, Bedfordshire Training Depot, Camp Diary, Center Parcs, Duke of Bedford, Great War, History, Moubray, practice, Steppingley, trench, trenching ground, Warren Wood, Woburn Forest, Woburn Road, WWI on March 15, 2016 by Ste H.
Pingback: WWI – Bedfordshire Training Depot in Ampthill Park – the Camp Diary, September 1915 | Tommy's Footprints…..
Pingback: WWI – Ampthill Command Depot in Ampthill Park – the Camp Diary, December 1918 | Tommy's Footprints…..